A looooong day out on Italian Ridge. A Matterhorn ascent. A Marvellous Mountain Experience. Eleven 4,000+ metre peaks in 5 days. Home » Uncategorized » Autumn brings a close to the summer expeditions with Mountain Experience. Autumn brings a close to the summer expeditions with Mountain Experience. A great summer of expeditions drew to a close this month. Mountain Experience together with Explore! 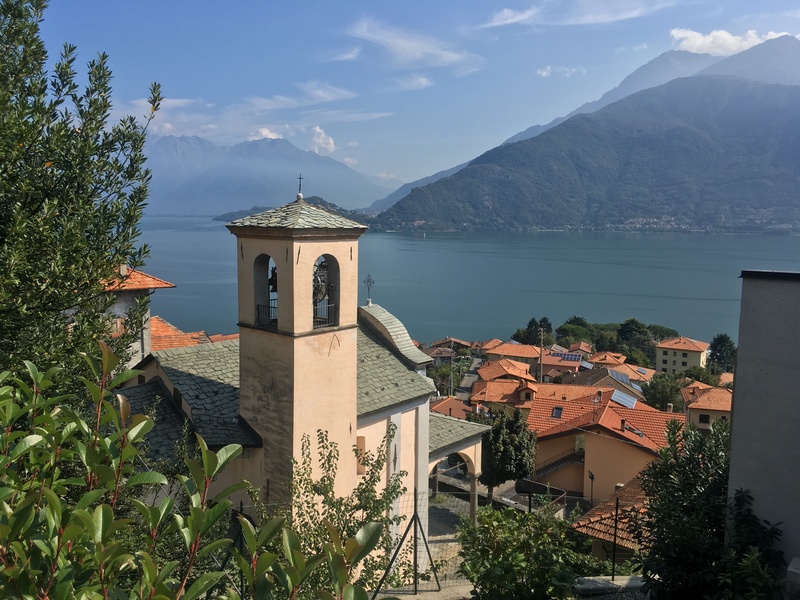 enjoyed three weeks of walking around Lake Como in Lombardy, Italy. 40 clients over three weeks enjoyed great food, fantastic views and for most of the time, great weather. The view from a walk high above the lake. “We were particularly pleased, once again, to have Nigel as our leader! His combination of local knowledge, historical data and great sense of humour made the walks all the more entertaining. However, this did not detract from the fact that he was very professional in all aspects of safety, organising great ‘continental’ picnics, and seemingly effortlessly booking a different restaurant for every evening. This certainly helped the group to bond well together and I think we all felt quite spoilt! He even managed to fix the weather!” said Marianne from Hove. Great feedback, but even Nigel can’t take credit for the weather! A dip in the “solar heated” pool was as good as an ice bath for tired legs! Every village had fabulous views over the lake. By Mountain Experience in Uncategorized on 08/10/2018 . It’s not all blood and sweat you know!